The emirate of Dubai will double the registration fee charged on real estate transactions in an effort to prevent excessive speculation in its property market, a top official said on Thursday. The fee will increase to 4 percent from 2 percent on October 6, Sultan Butti Bin Mejren, director general of the government's Land Department, told reporters. Warehouses and industrial property will be excluded from the increase. "It will affect the quick selling of property," he said. "It will limit the flipping of property and protect the market." "Flipping" is buying and selling properties in quick succession to make speculative profits. After crashing more than 50 percent as a bubble burst in 2009-2010, pushing Dubai close to a debt default, residential real estate prices are rebounding strongly and the International Monetary Fund warned in July that the authorities might need to intervene to prevent another bubble from forming. Apartment prices are up about 20 percent this year, helped by an influx of foreign money. Sultan Butti said he did not believe a new bubble was forming. "The real estate market here is mature and based on real demand for property. The market is stable and is very active. 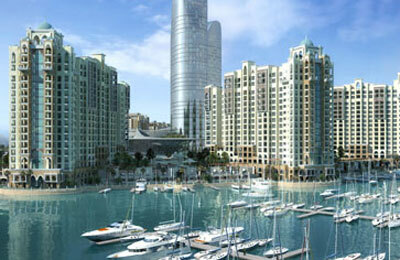 We believe that prices in Dubai are not higher than other top cities around the world," he said. But he said: "The IMF warning came in line with our findings and that is why we think that increasing the fees will limit speculation and protect from a bubble. We decided to increase these fees before they even recommended it." On the issue of whether the higher fee could hurt the property market, he said: "We don't see a negative impact affecting the transactions." Analysts said the hike could deter some speculators though probably not eliminate them, as some aim for profits of 10 percent or more in the space of a few months from flipping properties. Dubai's property-related stocks did not move significantly in response to the announcement. "It will have some effect on transactions and prices in the short term. But the main effect would probably be to raise more money for the government," said Loic Pelichet, assistant vice president for research at NBK Capital in Dubai. Sultan Butti said real estate transactions in Dubai totalled 162 billion dirhams ($44 billion) so far this year, up from 90 billion dirhams in the same period a year earlier. Such figures suggest an additional 2 percent levied on transactions might earn the government around $1 billion annually - a significant boost to revenue as Dubai continues to grapple with the debt problems caused by its property crash. The government and state-linked enterprises face debt maturities of about $50 billion over the next three years; some of those enterprises have been selling assets this year as part of debt restructurings. A government legal committee will next week start looking into disputes over some of the hundreds of real estate projects that were frozen in Dubai during its crash, Sultan Butti said.